I have never considered myself a writer at all. My talent was in drawing, and that was always my passion when I wasn’t working at the various jobs I’ve held, which include bank teller, car dealership office work, legal secretary, camera operator and stripper (not the kind that takes off clothes!) in the printing industry, Wal-Mart people greeter and, more recently, real estate sales. I’m more of a “Jill of Many Trades.” On the side, I have done calligraphy, designed my own Christmas cards every year, draw color pastel pet drawings and pencil drawings of people and houses. What got me into writing as an art form began with an unpublished book my mother had written and was unable to have published. Unbeknownst to anyone, in between baking bread and cleaning house, she was handwriting a historical young adult novel based on real events in North Carolina history. One day, out of the blue, she asks me if I knew someone who could type up something for her. This was in the days when home computers were still fairly new, although I did have one and could touch type. She, however, did not type at all. You have to understand that my mother came from a very small town in North Carolina and only had a high school education, but liked to read and loved history. Still, I had no idea she had a book in her. Anyway, knowing she could not afford to pay anyone to type this huge pile of papers she showed me, I volunteered to do it myself. For free, of course, for her. I dove into the notes and began to type, and as I did, I found many spelling or syntax errors or general vagueness, the things that you would expect from a first draft on paper. I didn’t want to make big changes, but had to fix obvious errors as I went. Still, I was captured by the stories and characters and I got misty-eyed at the ending. I fell in love with Aquilla, the heroine of the story. My mother took the final manuscript (still needing some editing and polishing, but I could only do so much) and sent a few chapters to book companies and, naturally, only received the usual form letters back: “Sorry, not at this time” or words to that effect. I’m sure she was devastated and eventually gave up on the idea of achieving her dream of publication. When she died in 1993 of cancer, I was left with her box of papers, and this book on a disk, and nowhere to go with it. I was quite saddened every time I thought about it because she put her heart and soul into it, and only a handful of people got to read it. Fast forward to 2011, and a whole new world had arrived: e-books and self-publishing. As soon as I learned you could self-publish books, I began to do research on all of the skills needed to do so and learned what I needed to know so that finally, Aquilla could come alive again and inspire more and more people with her courage, bravery and good heart! I whipped the manuscript into e-book format and drew the portrait of Aquilla for the cover. I’m very proud to say that “Aquilla, Indian Captive” has been selling very well. I’m sure my mother would be so happy that people are finally reading her book! What books or stories have you written? Published? Can you tell us a little about your books? What are they about? “Aquilla, Indian Captive” is about a 15-year-old girl living in Bath, N.C., whose town is raided by local Indians in the early 1700s, and she and some others are taken captive and expected to become slaves to the squaws. She is bright and spunky, and takes them on in her own way and also finds romance along the way. The book is intended for teens. The “Jonny Dimbo” series is strictly adult books with mature themes. Jonny loses his father at eight years old and stops talking for the most part, but he accidently overhears conversations and private secrets that his mother, a psychiatrist, has with her patients. These patients then pay Jonny to keep their secrets. When he is 23, he has become an amateur investigator and helps these same people with current problems. He gets involved in all kinds of capers in doing so. The basic premise of Jonny came to me in a dream and it was so vivid, I made notes when I woke up so I would not forget the idea because I thought it would make a good book. I told a writer friend about it, but she was not going to write another book, so I decided to use it myself. I had to make a few changes from the original idea because it involved the little boy in politics, and I’m not a big fan of that topic and didn’t feel I could write about it successfully. I believe in the saying “Write what you know,” so I try to do that when I can, although I do take a lot of liberties! I get many of my ideas and character development while in the shower, which is a great time to let your mind wander, and also in the twilight time when you are not quite asleep, but not fully awake. I let my subconscious mind think up ideas, and this is often when they pop up. I have actually gotten up in the middle of the night to write down things because I know that I won’t remember them in the morning if I don’t. Some of my best poems have happened that way, too. In the Jonny Dimbo series, many of his experiences come from my own, although many don’t. You’ll have to read them to decide which is which! As with any art form, and I do believe writing is an art form, the key to success is: PRACTICE, PRACTICE, PRACTICE. If you draw, draw more. If you paint, paint more. If you write, write more. You get better each time without even realizing it. See what makes others successful, but be true to yourself and try to stay unique. I have not had my work professionally edited, and that is possibly a mistake. After I proofread my material, I have my writer friend read it, and she helps me find typos and errors. I also have my husband read it, and being a slow reader, he reads every single word and often finds mistakes also. However, I have not had a professional look at them. I just went ahead and published. I don’t really recommend this if you are looking to put forth a perfect book. Frankly, I’m in it for the fun and so have not been particularly worried about what anyone thinks. What is the hardest part about finding a professional editor? It may not be that hard to find one, but the cost is something I personally don’t want to incur. However, a more serious writer should probably go this route. I had to learn how to format my work in Word for e-books, the entire process for creating accounts and all that is involved with self-publishing. It was quite a learning curve and would daunt someone who is not fairly tech savvy. Still, the info is out there if you’re serious about this kind of venture, and I was. How do you find enough time in the day to write? Fortunately, I was only working two days a week when I began to work on the Aquilla book and when I decided I wanted more time to work on my own books, I “retired.” Most young writers don’t have this advantage, and I’m sure it is difficult to find the time. However, in life, you must make priorities and if writing or any other venture is important to you, you will make the time for yourself and just do it. I’m a “Git-R-Done” kind of gal and if there’s something I want to do, I’ll get it done! Sure, I procrastinate sometimes or let things slide for a while, but I make a point of eventually finishing what I start. I still have to finish my latest “Jonny” book, but it will happen. It’s the best one yet, in my humble opinion! Do you think writing has any benefits, and if so what would they be? Has writing made you a better person? Was there a point in your life where writing helped you deal with something, a death or a problem relationship perhaps? Writing is very much like therapy. As a matter of fact, before “Aquilla,” I was having some very personal issues and needed a way to vent beyond annoying all my friends with my problems! I’m sure they got sick of hearing about it. I wrote about these difficulties as if I was going to see a doctor with the doctor asking questions, and I would answer and often made humorous analogies. I used this instead of actual therapy, but it was a great substitute. I spoke my mind, vented all my feelings and delved deeply into all the nuances of what happened. The more I wrote, the more there was to write, and it became a very long rant. I made it into a “test” book and actually published it for a short time, but later withdrew it. A reader made some nasty comments about it, and I decided it had served its purpose anyway, and so it was time to unpublish it. I do recommend to people that writing down their feelings during a distressing time can help them to get over it or at least accept what happened and move on. It doesn’t have to be a book, but just perhaps a personal journal or blog. Do I like to read? Oh, yes! When I was in the first grade, my mother took me to the local public library and told them I wanted a card. At first, they thought it should be in her name, but no, she insisted that it be my very own card. I signed my name, and that was just the beginning! I lived in Elmhurst, N.Y., and I could get to the library on my own and made the best of it. When I had read everything I wanted in the children’s sections, I began to scour the “grown up” shelves. I still consider my library card to be more valuable than any credit card I have! I can remember that in elementary school, I was always reading way ahead in the books the class would read out loud and when it was time for me to read aloud, I had no idea where the rest of the class was at because they were so far behind me! It was embarrassing when I had to try to find out where the class was in the book. I have always devoured books, and the ladies at the local library where I live now got to know me well because I was often there trying to find new reading material. I would reserve books and get a call when they were available. One time, five big, fat 500-plus page books came in all at the same time, and a new lady remarked to one of the veterans that she didn’t think I would want all of them. The other lady knowing said, “Oh yes she will!” Sure enough, I took them all and actually sat and read all five that weekend! My eyes were shot, but all of them were so riveting, I read one after another and didn’t do anything else. Fortunately, while my husband isn’t much of a reader, he doesn’t mind me doing so. I read many of the usual best sellers, mysteries and some romantic-style books. I steer clear of spy books or books with a lot of politics: just not my style. I lean towards certain authors but have become disenchanted with some I used to like, but now I don’t. I won’t name them here. Can you talk about how important reviews are to writers? What kinds of information do reviews offer authors like yourself? Have you ever received a bad review? If so how did it make you feel? Obviously, when you have poured your heart, soul and time into a book, you want people to read it and love it. Like most things in life, you’ll never please everyone and while there will be those who love your work, there will always be those who don’t. It’s still hard to hear when someone trashes what you worked so hard on. Basically, in the end, if YOU like what you have created, that’s all that really counts. I was sorry to see a bad review for “Aquilla” because it seemed to me the person did not understand a number of things about how the book came to be written and that it was meant for teens. Also, they were disappointed about things that the book didn’t have instead of appreciating what it did have. I know that this book could have been “more,” and it has its faults, but I left it like it was because it wasn’t my place to rewrite it. The feedback I received from people I know who read it was very favorable, and it has been selling well. I wish I could get more positive feedback, but either way, I won’t change anything about it. It’s the book my mother wrote, and it will stand as is. If you like it, great. If not, oh well. As for my Jonny Dimbo books, I have gotten nice praise from those who have read them. Here’s what matters to me: my husband (who never reads novels at all) has read all of them on his iPad, and he said they kept his interest, and he could not put them down! He actually read all of them all the way through and this is the best “review” I could receive! I think Jonny is a jewel yet to be discovered and hopefully one day, readers will find him and enjoy his stories. These are the kinds of books I want to read right now: a lot of quirky, but realistic people and their backgrounds and, yet, a lot of action. They stay away from gory murders and violence, but there are bad guys who get what’s coming to them in Jonny’s own way. There is love, romance and some paranormal factors also. I have a hard time putting these books into a specific genre because they just don’t fit in just one. I hope readers will take a chance and see what Jonny is all about and enjoy him and all the people around him. Marcia Singer Byerly grew up in Queens, N.Y. She always had a talent for art and graduated from Pels School of Art located in Manhattan. She enjoyed her time and lessons there. In 1972, she drew a Christmas card for a class, which turned out so well, she started a tradition of a new card each year thereafter. After school was over, she worked as a teller for a bank in Jackson Heights, but later moved to North Carolina in 1973, where she met her husband. They had one son, who is now grown with two children. In the 1980s, Marcia became proficient in calligraphy and participated in many craft shows for a number of years. Later, she began to draw pet portraits in pastel, which were a great hit with pet owners. She also found she excelled at drawing people in pencil and worked at learning the skills needed to improve in this area. During her time working in real estate, she also drew detailed pencil drawings of houses for client gifts for other agents. Marcia worked at a number of different jobs in diverse fields: teller, bookkeeper for a car dealership, camera operator in printing shops, assistant to attorneys in private practices and later worked in the legal department of a major bank. From there, she was ready to slow down and became a part-time deli worker and then a door greeter for Wal-Mart. She enjoyed talking to the customers and made friends with some of them. When her schedule at Wal-Mart was no longer agreeable, she became an assistant to two real estate agents, and also went to school and received a real estate license, but continued to assist part-time. 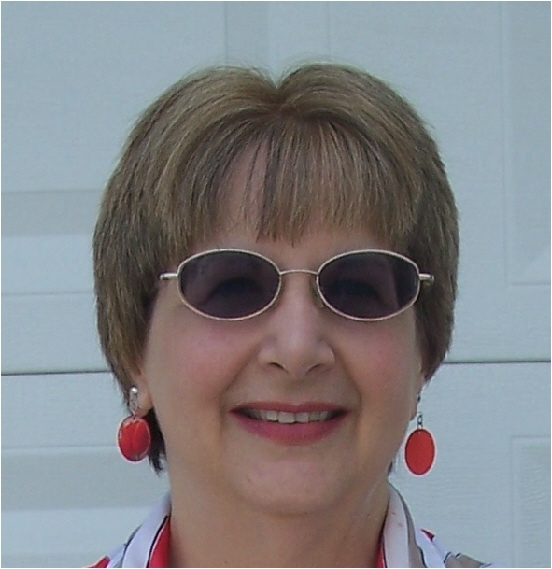 When Marcia became interested in writing and publishing e-books, she retired from that position to work full-time on her own projects including writing, scrapbooking and reading. She thoroughly enjoys having all of her time to pursue her diverse interests. This also has allowed her to have more time to exercise and concentrate on learning how to live a healthier life style, and she has succeeded in losing weight to avoid many bad health concerns. Marcia and her husband, Phil, thoroughly enjoy attending the local Minor League baseball games with their season tickets. It is a great past-time that they both love to watch and root for the home team. Check out her website, where you’ll find links to her blog, artwork and more. It started out as a love of reading, then learning to journal in school, and learning to let my imagination go places without resisting and then living life and having experiences I could draw from. I have always loved books, and I loved how words went together and how you could start off with a clean sheet of paper and as you wrote your pencil became duller and duller, but when you finished you had something that could make someone feel happy, sad, lonely or angry. My parents always had us at the library, reading and exploring. I loved holding a book in my hand and saying “Someday my name is going to be on one of these.” So I think I have always wanted to be writer and still do. I think being a writer isn’t something that is accomplished by being an author. Being a writer is a lifelong lesson. 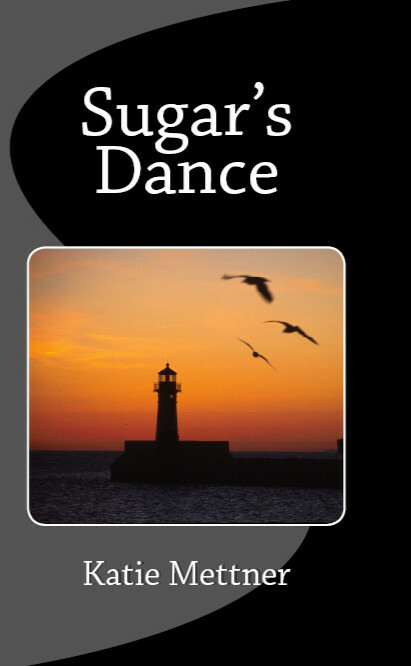 I have published “Sugar’s Dance” and just finished writing “Sugar’s Song.” I will be starting the third in the series, “Sugar’s Night” very soon. I also recently published my first children’s book, “Spaghetti Eddie.” It’s a story of a young boy who loves spaghetti. I wrote it many years ago, and my son’s third grade class recently helped me with the illustrations so I could take it to publication. How did you get inspiration for the characters? Are the books based on personal experiences? Absolutely. I took a character that was floating through my mind and made her my own, and I know for sure there is a lot of me in Sugar. In defining her, I was finally able to define myself. I think she is the kind of protagonist that reflects life’s struggles, joys, setbacks and moments of success. I tried to make her a character that everyone, man or woman, could relate to. She’s someone’s sister, friend or daughter. I also firmly believe that I can’t write about a place that I don’t know anything about. I’m not going to pull off writing a book about New York if I have never been there and experienced it. My husband grew up in Cloquet, Minn., which is a few minutes from Duluth. As we came up 53 the first time together and crested the hill, the lake spread out before us, and it was just such an incredible view. We drove down into Superior and as we crossed the bridge, there were these huge ships heading out into the water, and I saw the scene for the book in my mind. I have spent so much time in the Twin Ports over the past 12 years, and it is just one of those places that draws you in. For me it has this magnetic pull; the lake, the ships, the old shops, the beaches, the people, the atmosphere. When it came time to write the big scene, the scene where Sugar remembers why she lives, I knew it had to be in Cloquet. It had to be in the place that really opened up my world. It’s the place where I found my “Agent Walsh,” the guy who accepts me for who I am and says, “I love you because of who you are, all of you, because of what you are and what you have gone through.” We actually spent a weekend at the hotel, and I walked around with my camera and my notebook and absorbed the atmosphere so that when I told the story, the reader felt like they were there, in the casino, in the ballroom, in the hotel room, in that place where she finds herself again. The only advice I have is to keep writing, keep listening, keep living and keep asking questions. There are so many authors out there that have amazing experiences and are so willing to share, teach and critique. Books are one of those things where there can never be enough because there will always be someone to read them. Can you talk a little about the benefits of getting your work professionally edited? What is the hardest part about finding a professional editor? I was very lucky in the respect that my sister is an editor and for that, I’m SO grateful. A professional editor or other author can really help you with flow, missing words, grammar errors, etc. Often times as we write, we miss words that our brain will automatically add in, but someone else will catch it. I usually have two to three people read it besides my editor so that I’m confident it’s the best it can be. It gets difficult some days. With three kids and a full-time job, I’m often writing early or late. My goal has always been as long as I write a little bit every day, make notes or come up with where I’m going with a scene, then I’ve been successful as a writer that day. Some days I can write for hours and some days only minutes, but in the end it always gets done. For me, it’s an outlet. It’s a way to take my own life experiences and make them into a story that others enjoy. Each page I write makes me a better writer, and I can share that with my children. I already have three very talented writers in my three kids, but again they started out with reading very early in life, and that is the most important basis for any writer. To write you have to read. Can you talk a little about how writing relaxes you? Any specific examples you can share? Was there a point in your life where writing helped you deal with something, a death or a problem relationship perhaps? When I first started writing “Sugar’s Dance” I had just gone through the amputation of my left leg. I was not very mobile, and it was the middle of February, so for me it was an outlet and a place to escape to when the pain got bad or I felt cooped up and restless. Now that I’ve recovered and back involved with life I love knowing that at the end of the day it’s “Sugar time.” It’s that time of my day when I can open my Word document and see her there, and she’s waiting for me to finish telling her story. Then I’m in Sugar’s world, and the day’s events just disappear as I write. Writing has made me a better person in the respect that I have learned SO much from my readers. They have taught me so much about empathy, positivity and kindness. Of course! I love to read romantic suspense, romance, and oddly enough, heavy detective fiction! I can’t write it, but I love to read it. I’m not big into science fiction or horror. I’m a reader that likes what I’m reading to actually possibly happen. I do better with story lines that could very much be real. Reviews are a great way to judge your work and find out what the reader sees and what they don’t. Find out what your strong points and weak points are. I have never received a bad review on “Sugar’s Dance.” I’m sure I will at some point. Every reader sees different things in stories, and you know what they say, you can’t please all of the people all of the time. Another author once told me “One-third of them will love you. One-third of them will hate, and the other one-third will be indifferent.” I think she was right on with statement! I’m going to write to the one-third that love me and not worry about the rest. Katie grew up in Eau Claire, Wisc., and moved to the Northwoods as a young adult where she now lives with her husband and three children. Her love affair with Lake Superior began when she met her husband, Dwayne, and he drove her across the bridge one snowy November day with her nose pressed up against the glass. It was in that moment the scene was set for her breakout novel! As a young adult Katie enjoyed ballroom dancing and spent many hours on the dance floor, and like Sugar she didn’t let her physical limitations hold her back very long. She’s happy to report that she’s back on the dance floor again! Sugar’s life was changed by organ donation, and so was Katie’s when, in June 2009, she was given the honor of becoming a living kidney donor. She is proud to partner with the National Kidney Foundation to share her experience and spread the word about the importance of organ donation. Her stories are a reflection of her love for family intricately woven with life experience. When the gales of November blow early you can find Katie at the computer with a cup of joe, listening to Michael Bublé and working on Sugar’s next adventure…. I was always writing growing up, but I didn’t finish many of the stories I started, unless they were for a class. I didn’t get serious about writing until 2005. I was frustrated at work and decided it was time to see if I could actually finish a novel. I have two published novels and a third that I am currently editing for a release this fall. “Summer Storms” is the first in my “Seasons of Faith” series. Set in Orlando, FL during the hurricanes of 2004, the two main characters are Lizzie, a hotel concierge, and Jeffrey, a building contractor. Lizzie has spent months searching for a home in downtown, but when she does, Hurricane Charley deals her a blow she never could have imagined. Fortunately, in the course of renovating the house she met a contractor, Jeffrey Robbins, and with his help she believes she can repair the damage. What she doesn’t know is Jeffrey has his own damage to repair deep within his heart. “Julianne” is the first in the “Coastal Chronicles” series and is a story about a young woman’s struggle to find inner peace and spirituality. The main character, Julianne Finnegan, is like a lot of young people in their twenties trying to find their way in the world, but she has the added pressure of a successful older sibling. After a chance encounter with a young actor named Oliver, Julianne finds there is more to life than living up to her family name. So far all of my characters have found me. A few of them have taken on personality traits of people I know. The sixteen years I’ve spent working in the hospitality industry has given me enough fodder for new characters and experience to last years. They aren’t based on any specific events in my life, but I do draw on my experiences. 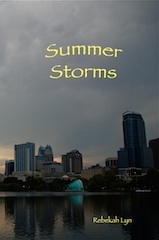 After my grandmother died I often wrote to deal with my grief and when I was writing “Summer Storms” I drew on that grief to understand what my characters were going through. Don’t give up. Writing is hard and critiques can be mean, but if it is what you love you have to be persistent. Without going through a professional editing process you run the risk of putting out work filled with flaws. No matter how many times you read your work, you will overlook things. As the author you know the point you are trying to make, you know the motivations of your characters, but the reader is not privy to these things. An editor doesn’t just proofread and correct your spelling errors. A good editor can help point out those gaps and give you ideas on how to fix them. There are hundreds of editors out there. 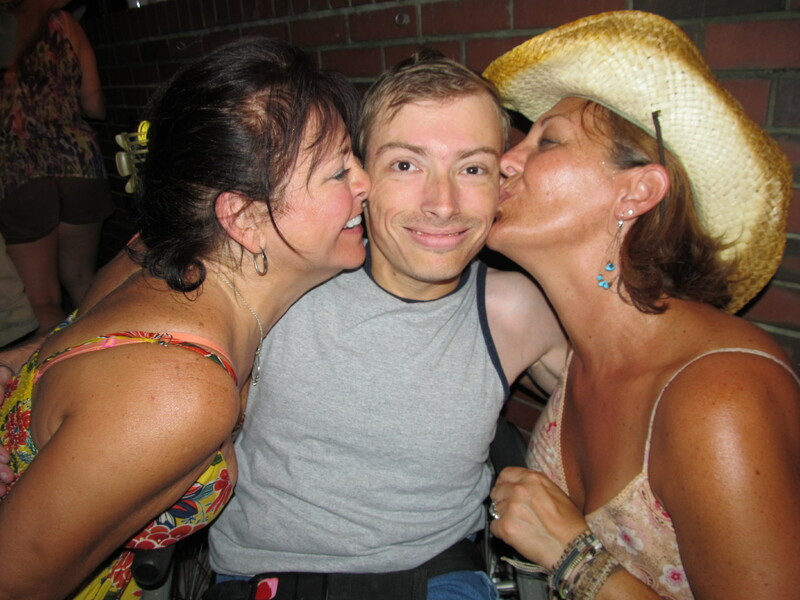 Finding one that you feel comfortable with, who can help define your voice, is the challenge. You can do research, get references, read other things they have edited, but in the end I think it comes down to trial and error. You may have to use several editors before you find the one for you. Time! There simply isn’t enough time in the day to do everything. I don’t write every day. It simply isn’t possible for me. A large portion of my writing gets done when I am on vacation from my day job. I usually spend four to six hours a day during vacation getting the first draft done, then I can go back, fill in the holes and polish in the free minutes of my daily life. For me, writing can be very therapeutic. It also helps me escape from my normal grind. Just like reading can transport you, I get transported when I am working on a book. 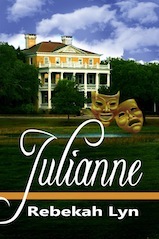 While writing “Julianne” I became so involved in that world I almost missed my exit on the way to work because my mind was so deeply involved with the characters and what they were doing. I would read all day if I could. I wish I knew how many books I’ve read throughout my life. I don’t tend to read the current bestsellers. I love reading about different cultures, travel, espionage thrillers, historical fiction and mysteries. While I write Christian fiction, I have only read a handful of Christian authors, mainly Terri Blackstock, Ted Dekker, Lois Gladys Leppard, Karen Kingsbury and Robin Jones Gunn. My experience with some other writers in this genre that I read early on was a bit too sweet for me. I want to read books that have some elements of reality to them. Real life is hard; it doesn’t always have happy endings. I want to write stories that aren’t always happy, but still show there is joy even in sorrow. As a writer, reviews are an important way of getting the word out about your work. They provide your readers with more information than just your blurb, give them insight into what emotions your book evokes, maybe even compare you to other authors. They help me find my strengths and weaknesses, better define my target market, and honestly, help provide validation. I haven’t received a bad review yet, but it is still early in my career. Rebekah is a Christian with a heart for new beginnings. She is a Florida native and a graduate of Jacksonville University, Jacksonville, Fla. A love of history, research and journaling led naturally to a passion for writing. 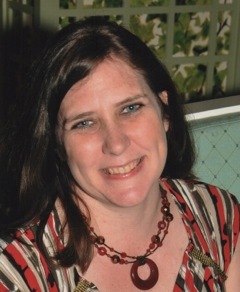 She enjoys travel and has traveled extensively across the United States and Canada as well as Europe and the Caribbean. Her reading tastes run from the classics to light fiction. When she is not working or writing, she enjoys cooking, baking and sharing recipes on her blog. Rebekah currently lives in Florida along with her “attack” cat, Mia. They would enjoy meeting with you on her Facebook page. Altogether about 10 years. No, my lifelong dream was to build my own house. When I achieved that, I decided I needed a new objective. Writing has now become hugely important to me. Mainly I am a science fiction writer. My first novel, “Class Action,” takes elements of sci-fi and puts them into the courtroom drama/political thriller genre. 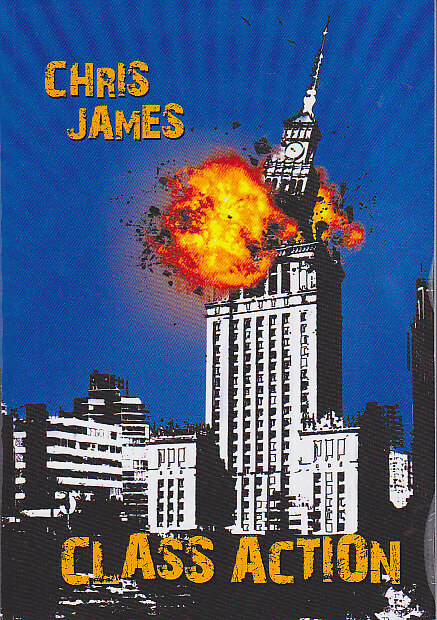 Set 20 years in the future, we follow a young litigator as he takes on a unique case and gets sucked into a frightening world of global conspiracy and international terrorism. My second novel, “The Second Internet Cafe, Part 1: The Dimension Researcher,” is about a scientific facility where researchers jump to alternate realities to find out about them. The idea here was to write a “proper” time travel story in which the characters could not create time paradoxes. 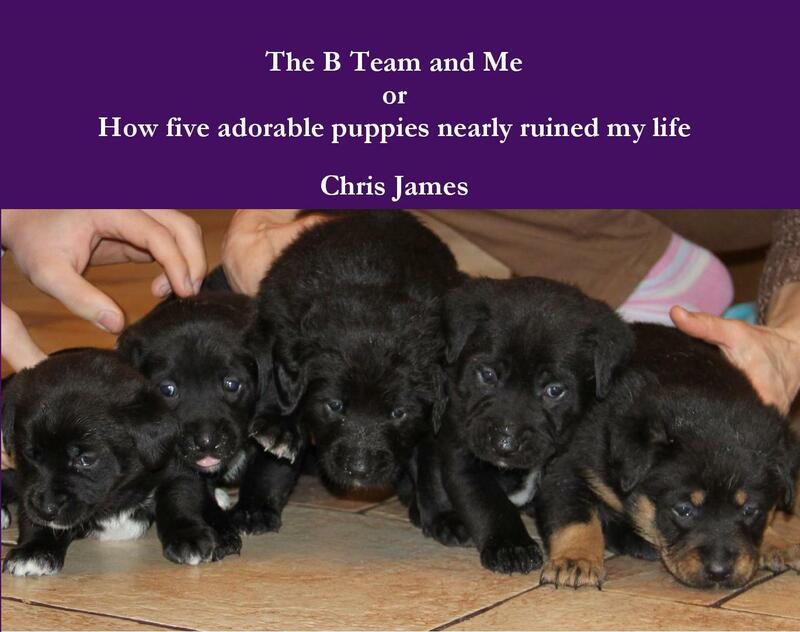 This year, however, I branched out into comedy (which my novels are certainly not) to publish a picture book about a litter of five adorable puppies who cause chaos in the house where they are born. For me I pick elements to build characters as I do to build worlds. Sometimes that can change at the planning stage of a novel, but once I start writing them, I get used to them and then it will be the story that changes. No, not at all. 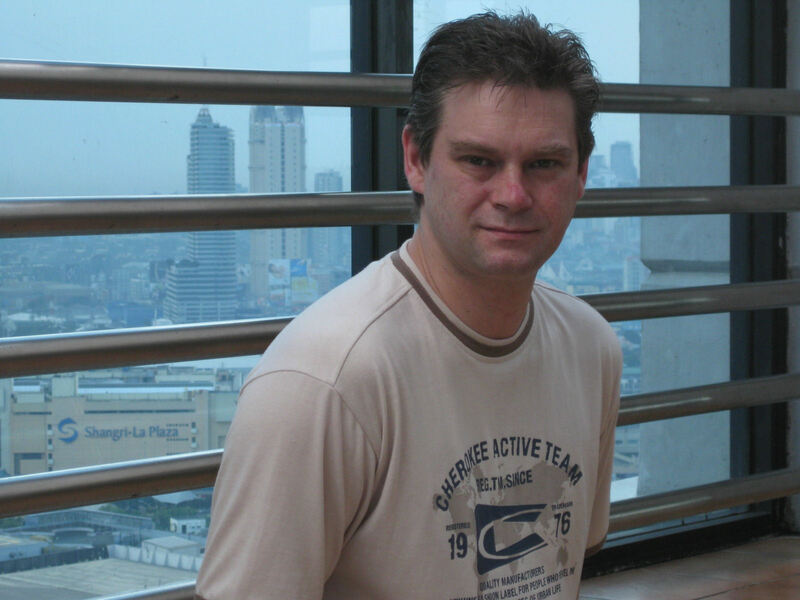 As all my novels are set in the future, the vast majority of them comes from my imagination. This is difficult because I believe each writer has to find his or her own path through the process. The only advice I can give is that there is one thing a writer must fail at, and fail at quite spectaculaly: giving up. As long you fail to give up, you’ll get there in the end. I didn’t have my books professionally edited for two reasons. 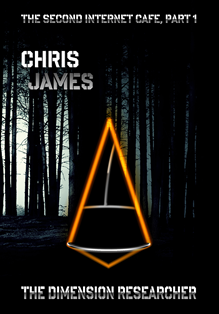 First, I had a raft of talented beta readers who helped enormously. Second, my full-time job is copy editor/proofreader, so I felt quite confident with the published standard of my books. What are some of the hardest things you’e had to overcome as a writer, in order to be published? Mainly the frustration caused by others’ lack of interest. Non-writers have little idea of how much effort, heart and soul go into a novel, not to mention thousands of hours of work. When you announce your novel to the world, you will be ignored for the most part (unless you’re very lucky and are surrounded by caring people). For me this was the hardest thing to cope with: that no matter how hard I try and how hard I work, I’ll be lucky if someone even barely notices what I’ve done. Usually at night, when my kids are safely asleep and I have silence. Then I can escape into my worlds. I think you have to make the time rather than find it. As a novel progresses, I become more involved and make more time for it. Do you set aside a special time to write? It keeps me alive, like breathing. I think up stuff and have to write it down. It’s very important. Can you talk a little about how writing relaxes you? Any specific examples you can share? It seldom relaxes me, but more makes me feel as though I’m not wasting my life. I have a tremendous sense of satisfaction when I write, that words are out of my head and on the page. My fear that my stories could die with me is what propels me to write. That’s too subjective a question – I always try to be a better person! Other than that, writing is a very, very good form of escape from the drudgery of everday life: paying the bills, providing for my family, etc. Oh yes. I like sci-fi, thrillers, modern history, military history, historical adventures. I like to escape into the imagination of someone else. It does take good writing to pull me in, but some totally immerse me. Generally they are important, but I’m not so good at marketing myself, so even if someone reads one of my books and likes it a lot, I’ll ask for a review but won’t hassle them because I think that’s impolite. Is there anything I forgot to ask that you’d like to mention? No, I think they were all very good questions – thanks for asking them! 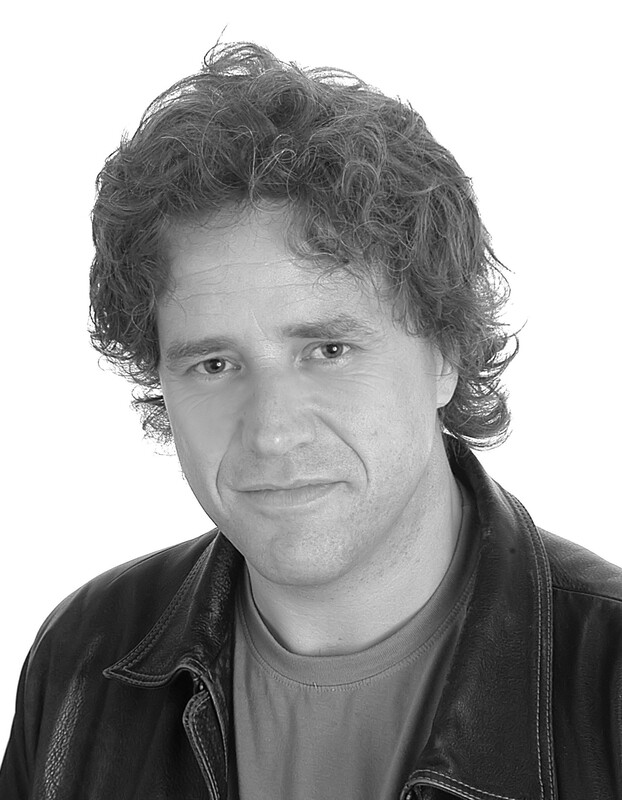 I actually started writing between jobs in 1990, with a couple of short stories and the beginnings of a novel. However, back then it was almost impossible to get published. Once I returned to work I had little time to finish the books, and I didn’t return to it until 2010, when I found one of my old manuscripts and updated it. I showed it to a work colleague, and she suggested I get it published, so I searched the Internet and found Smashwords. Once “Recidivist” was published, I began work on my first full novel, and I guess I haven’t stopped since. Apart from “Recidivist,” which is about a novel way of dealing with young offenders, I have written the first two books in the Tom Gray trilogy and am currently about a third of the way through the final installment. 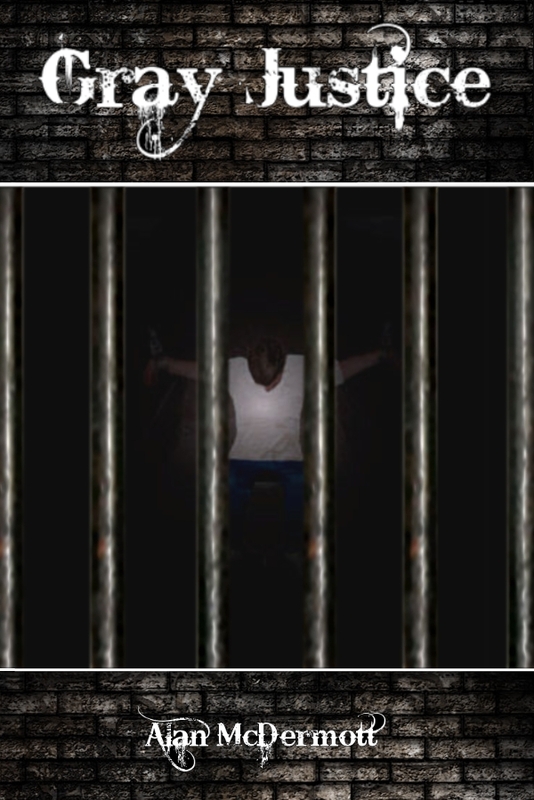 The premise is that Tom has lost his son to a joy rider who walks free from court. He recognizes that not only is the killer to blame for his son’s death, but also the judicial system for letting this repeat offender back onto the streets. It sounds like your typical revenge story, but it’s much, much more. I’m not sure, to be honest. I’ve always liked tales about the SAS and thought that would be a good background to start with. Once I had that, I wanted to make Tom Gray believable, not some kind of superhero. As for the rest of the characters, they just had to have traits I see in people around me, from loyalty to arrogance and treachery. When I first published “Gray Justice” there must have been around 200 errors in the book, and it makes me cringe when I think about it now. I had some decent reviews to start with, but quite a few mentioned the fact that it wasn’t that well formatted and needed a good going through, and that cost me quite a few stars. I have made several changes since that first version and haven’t heard of any typos for a while, but for “Gray Resurrection” I made sure I got some professional help from a good friend of mine, Scott Bury, and I have been invited to join iAi (Independent Authors International), a group consisting of indie authors who share their skills to ensure the books we produce reach a high standard. You can learn more about iAi here. Having twin five-year-old daughters, it is almost impossible to find time to do anything, never mind write. I work full-time, and when I get home the girls want their share of daddy, so there goes the next three hours. By the time 7 p.m. comes around and they are in bed, it is time to catch up with my Twitter friends, which usually takes a good two hours to sort out, by which time I am falling asleep. The only way I can get any writing done is by getting up just after four in the morning and putting in a couple of hundred words. It really is tough, especially for someone who likes his sleep, but I think that in another four to five years, I will have enough books and a big enough following to make it all worthwhile. Actually, it has the opposite effect. If I’m not thinking, I tend to switch off, so things like reading and watching TV usually have me nodding off within a short time. However, if I’m writing it wakes me up, which is why I prefer to get words on paper early in the morning. I tried writing late at night but by the time I got to bed I was so wide awake I couldn’t sleep! I think reviews are vital to an author, just as they are to anyone else selling their wares. It’s hard enough to get someone to buy your book, but you stand a better chance of getting a sale if another reader has shared their views. Reviews offer the author a chance to improve their writing, should they choose to. 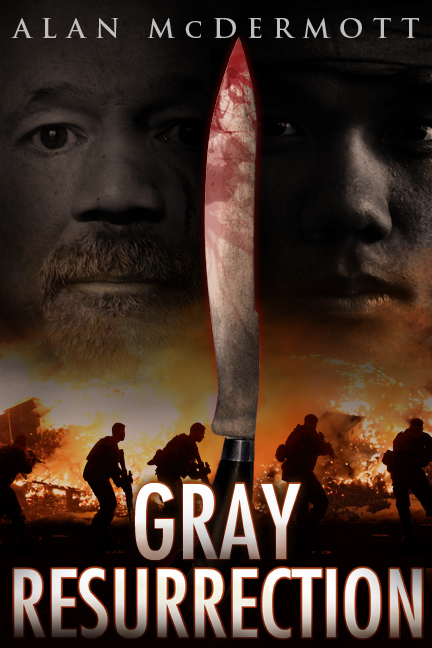 For example, a few readers have said they loved “Gray Justice” but didn’t really get a feel for the character. That’s valid comment, but my personal opinion is that you should get a feeling for a character through their words and actions. I could spend a few pages telling you how sad the main character feels following the death of his son, but for me, that’s a given. It’s like a reporter asking a football player how they feel after losing a game. How do you expect them to feel? Elated?? I think the fact that Tom Gray goes on to do what he does tells you how angry he feels about the way the courts have treated his son’s killer. As for negative reviews, I’ve had my share. The first came after a string of more than 30 five-star reviews, and I thought I would die if I ever got one, but to be honest I just shrugged it off. My writing isn’t going to please everyone. I think I actually laughed when I got the second one-star because it said the story was full of holes. I wouldn’t mind, but that was based on the sample! How can you possibly know what holes a story contains unless you’ve read the whole thing? It also makes me smile when a review riddled with grammatical errors criticizes my writing! I love to read action thrillers by Tom Clancy, but these days I simply can’t find the time. It has been quite a while since I read a book from cover to cover. I’m hoping that one day I will be able to write for a living, which will leave my evenings free. For me, books have to be fast-paced and keep me turning the pages, otherwise I just put them aside and try the next one. Write what you know and what you enjoy. Recent big sellers on Amazon were the “Shades Of Grey” series, so if I could write something along those lines I might have a chance of getting into the charts. However, I’ve never picked up a romance novel and don’t think I would enjoy writing one, despite the potential rewards. I’m pretty sure I would get bored rather quickly, and if I can’t enjoy the story I’m writing, I can hardly expect my readers to like it. Also, don’t get into writing with dreams of hitting the big time. Very, very few authors make a living from writing, and even though I dream of doing so in a few years time, I won’t be quitting my day job any time soon. For the vast majority it’s a long haul, and the instant hits are few and far between. If you are serious about making a living from writing, be prepared to work hard, accept criticism and hit some low points along the way.